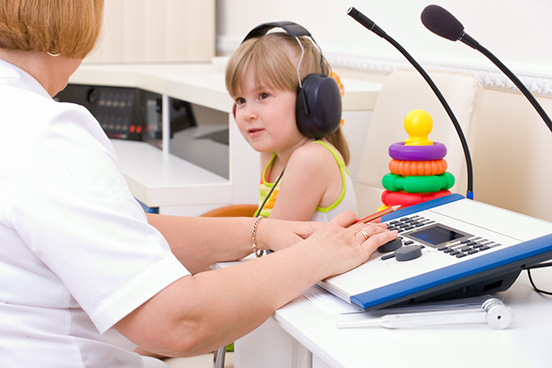 If you guessed that an audiologist had something to do with the ears, move to the top of the class. Audiology is anything to do with the sense of hearing, and this can include all those little extras that the ears do, like help us keep balance and know where we are in relation to the space around us. An audiologist, then, works with their patients to assess, diagnose, treat and monitor conditions of the ear: inner, middle and outer. This includes, but is not just, disorders of hearing (such as a loss of hearing, partial or complete). It also includes those conditions such as tinnitus (constant ringing in the ears) and vertigo (a sense of falling, or loss of balance). Ears are marvellous little organs and a lot goes into how we not only hear and interpret sound but how we stay upright, receive input about what’s around us, and make sense of our world. The vibrations are moved onto the cochlear, which is lined with tiny hairs called villa. These move in the fluid of the cochlear, transmitting the vibrations as electrical impulses to the brain, where it is interpreted as sound. Within the inner ear are the semicircular canals – three little circles filled with fluid, which lie in different planes. This tells your brain what position your head is in, so you can keep balance. If the semicircular canals are damaged or not functioning, people can feel constantly off-balance, sometimes to the point where they can’t stand. They are nauseous all the time and their daily life is ruled by whether they can get out of bed. Deafness, or hearing loss, can be caused by many things (such as damage to the villa, which can be caused by repetitive loud noise), age or disease. Audiologists also prescribe treatments that can help restore hearing, balance and a sense of well-being to their patients. They conduct screening and tests to determine the kind of disorder and the best course of treatment.